What better reason to come out of a blogging “hiatus” than to celebrate a new life? One of my favorite food bloggers and a dear friend, Joanne from Fifteen Spatulas, and her husband Pete have recently welcomed Baby James into the world. A slew of us are throwing a virtual party in their honor today! Joanne’s perseverance and strength through medical challenges over the past few years, as well as her many personal and professional triumphs, have inspired me again and again. And, of course, the dishes she shares on Fifteen Spatulas are always so inviting and just the kind of food I like to eat. She’s a beautiful person inside and out and I couldn’t be happier for her and Pete as they get to know their new little guy. The Ginger Lemonade recipe that I’m sharing today was actually one that my friends and I wished we’d had around the time my own son was born. We were in a parent education group together and one of the ladies brought a pitcher of the most incredible lemonade, infused with ginger, to one of our meetings. She had a private chef and he had made it (that’s the life!). I’m not the biggest ginger fan in the world, but the spicy kick it brought to the lemonade was absolutely irresistible. We never got the recipe from her chef, but we did insist that she bring more lemonade to our subsequent meetings. In a saucepan over high heat, stir the sugar, 1 cup of water and the ginger until the sugar is dissolved. Bring to a boil, then reduce the heat to medium-low and simmer for 10 minutes. Remove the pan from the heat and allow the syrup to cool to room temperature. Strain and discard the ginger. 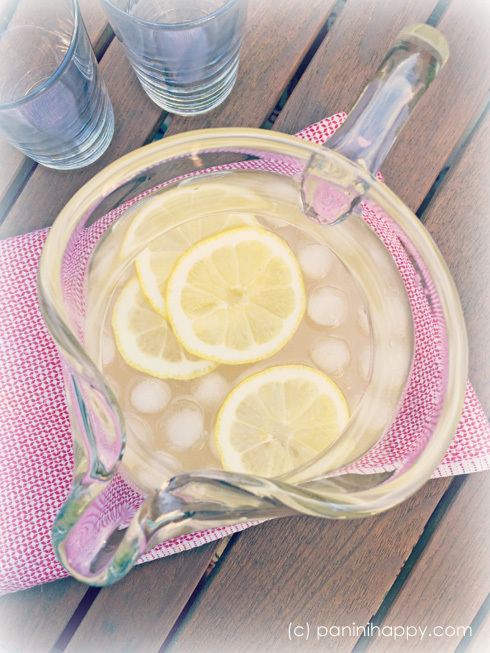 Stir the lemon juice, ginger syrup and the remaining 2-1/2 cups of cold water together in a serving pitcher. Serve cold over ice. I love anything ginger! This would be perfect for a baby shower! Especially since ginger helps our stomachs! I love the idea of a ginger syrup!!! Thank you, Kathy! You rock! I love ginger and I love lemons! Pour me a glass! This looks so refreshing! 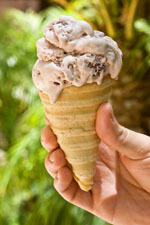 I can’t wait to try this recipe for back deck relaxing this summer! I need a tall glass of this amazing lemonade! 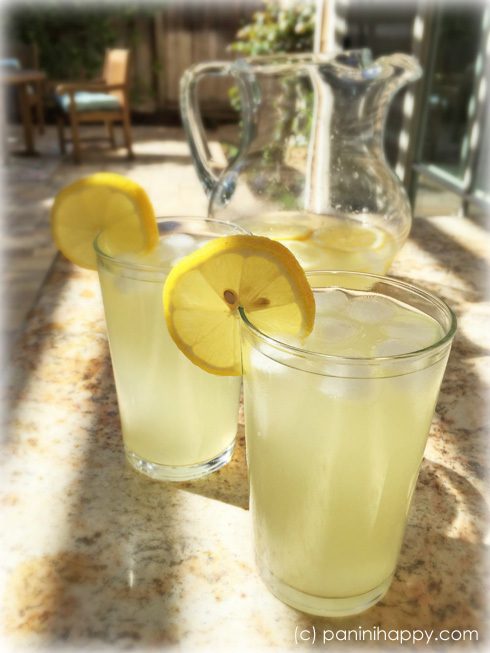 I remember that original lemonade that inspired this post – yum! Can’t wait to try this recipe. Wasn’t it the best? Still thinking about it 6 years later! I love the zing of fresh ginger, and how refreshing to add it to lemonade! Thank you so much for joining in on this celebration, Kathy! The perfect springtime drink! I am definitely thirsty now! Awesome roundup! And since it’s spring, lemonade sounds amazing. SUMMER HERE I COME! 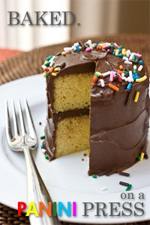 Previous post: Win a Le Creuset 8×8 Square Baker! Next post: My New Cookbook for Kids!